A Welcome from Thomas J. Botzman, Ph.D. Welcome to the Misericordia University website. This is just one of the many ways you can learn more about our university. If you were on campus right now, I am sure you would quickly notice the caring, motivated people who study, teach, live and work here and the relationships they form. This high level of engagement sets us apart from other quality universities and leads to student success on campus and well after they enter their professions. Our tradition of personal attention traces back to our origins when we were founded by the Sisters of Mercy in 1924. The Sisters focus on four charisms or gifts they have received and then give to others: Mercy, Service, Justice, and Hospitality. The entire community stresses the importance of social justice and the Mercy traditions, and that is reflected in our Mission and Core Values. The faculty and staff work tirelessly to provide the best learning environment, teaching students in the classroom and leading them into the wider community through internships, volunteerism and community-based engagement. Our 37 academic majors include many in the liberal arts and sciences, business and education fields, as well as health care. While many of our students are undergraduates, we offer a range of master's and doctoral degrees in both full- and part-time formats. Over 90 percent of Misericordia undergraduates find employment or enter a graduate studies program within six months of graduation, demonstrating the value of a Misericordia degree. 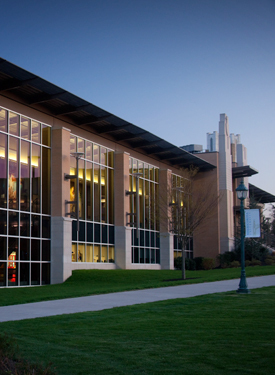 We hope you will visit campus and see Misericordia University for yourself. You can also learn more about us by engaging MU on social media. Thank you for your interest in our outstanding university. 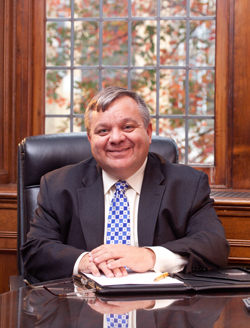 Thomas J. Botzman, Ph.D. assumed the presidency of Misericordia University on July 1, 2013. He is the 13th president in the institution’s 94-year history. Immediately prior to assuming the presidency at Misericordia, Dr. Botzman served as vice president for business and finance at St. Mary’s College of Maryland from 2004 to 2013, where he was also a professor of economics. His areas of responsibility included finance, human resources, facilities and maintenance, information technology, government relations, athletics, sailing, and public safety. He also held the title of interim vice president for development and secretary to the Board of Trustees in 2009-10. Dr. Botzman previously served for 15 years on the faculty at Mount Union College in Ohio. He also held the role of associate academic dean during the 2003-04 academic year and directed international studies from 1993 to 1997. He was a visiting professor and Fulbright Scholar at the University of the Americas in Mexico City, Mexico, teaching there four times from 1992 through 1996. He was named an American Council on Education (ACE) Fellow in 2002. Dr. Botzman worked in private industry prior to becoming a faculty member and is the inventor of 12 U.S. patents. Dr. Botzman serves on the boards of the Greater Wilkes-Barre Chamber of Business and Industry, the Back Mountain Chamber of Commerce, United Way of Wyoming Valley, the Northeast Pennsylvania Council of the Boy Scouts of America, and TecBridge - ­a regional organization that collaboratively strives to create entrepreneurial opportunities to grow technology wealth within Northeastern Pennsylvania. He was chair of the ACE Council of Fellows for the 2015-2016 academic year. In April 2018, Dr. Botzman was honored with the John N. Conygham Leadership Award from the Family Service Association of Northeast Pennsylvania. During the last four years, Misericordia University enhanced study abroad initiatives, dramatically increased the number and quality of faculty-student research and scholarship initiatives, replaced its entire student information system and communications infrastructure, renewed regional accreditation, launched a new strategic plan, and obtained two of the three largest gifts in the institution’s history. Misericordia University, the premiere Mercy university in the United States, will broaden its geographic reach while strengthening its reputation for superior liberal arts and professional programs at the undergraduate and graduate levels. Misericordia graduates will experience a transformative education and lead lives of consequence in their professions, their communities, and the world.